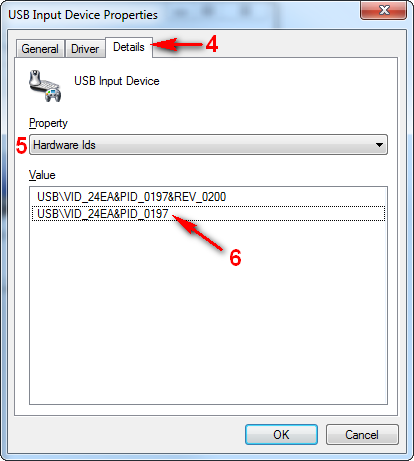 This article is intended as a guide to help users locate a USB device ID in Windows 7. Please note that these steps may differ depending on the version of Windows you are using. Open your Start menu and select "Devices and Printers." You should see your barcode scanner on this list. If you do not see your device, please ensure that it has installed correctly by checking the documentation that came with your barcode scanner. 2. Click on the "Hardware" tab. 3. 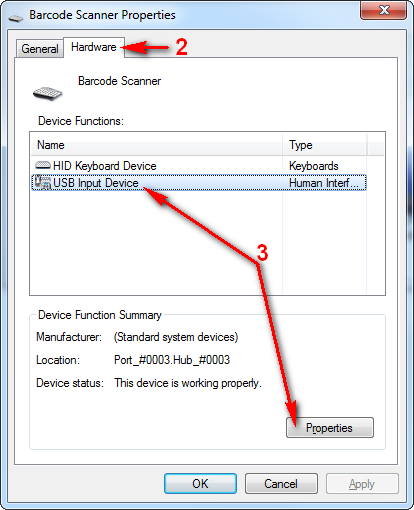 Click on "USB Input Device" and click the "Properties" button near the bottom of the page. 4. Click on the "Details" tab. 5. In the "Property" drop-down, select "Hardware IDs." 6. Take note of the device ID for your scanner (one of these values will appear on the list in ETO Attendance Scanner). 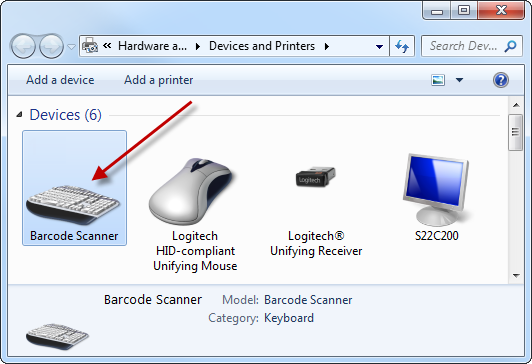 Click here for more information on setting up your barcode scanner.